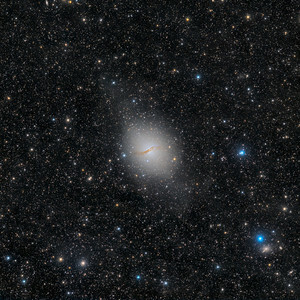 IC 1459 is a rarely imaged elliptical S0 galaxy (i.e. 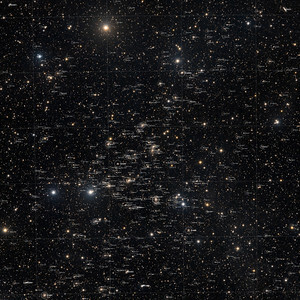 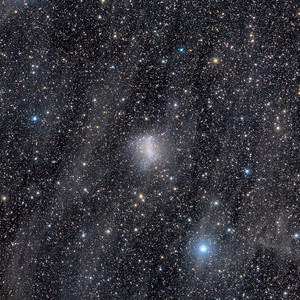 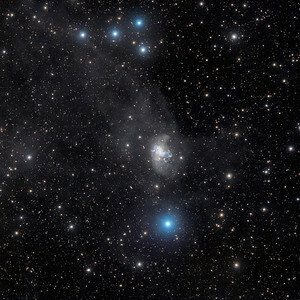 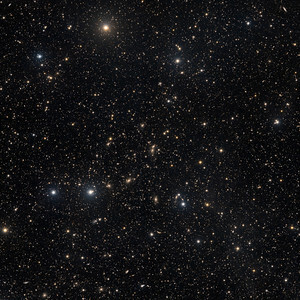 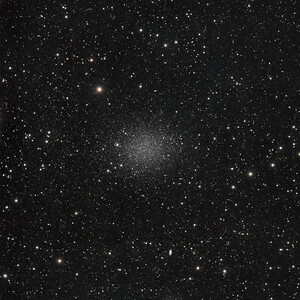 large bulge with a minimal or faint disk) about 70 million light years from Earth located in the constellation of the Grus, close the border with Piscis Austrinus and Sculptor. 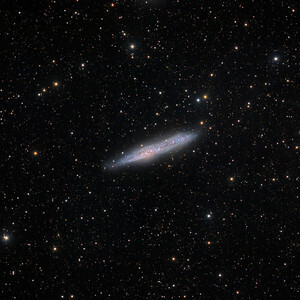 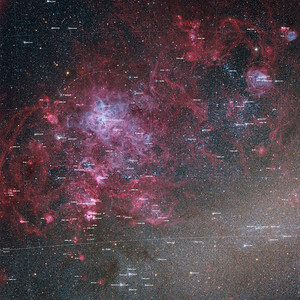 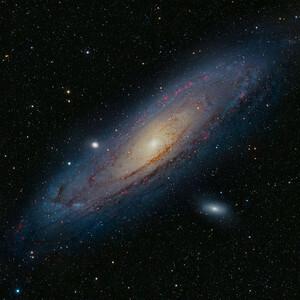 It is an object of 11 mag easily visible in amateur telescopes and is the leading member of a small group of galaxies formed mostly by spiral galaxies. 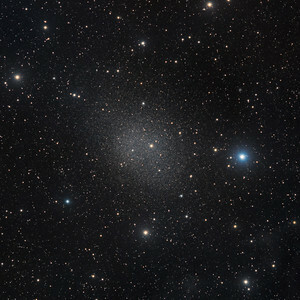 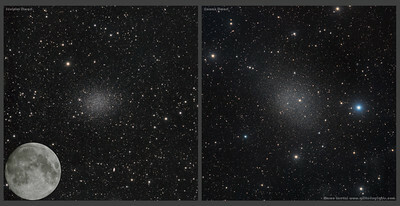 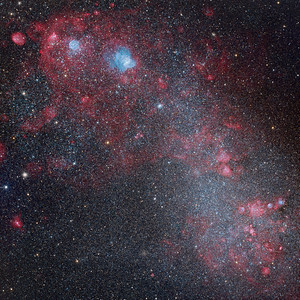 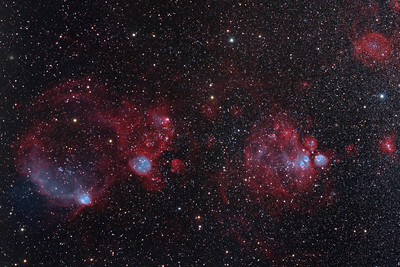 IC 1459 shows a prominent halo on deep exposures. 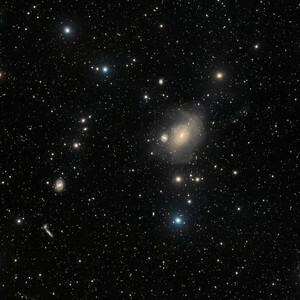 In its vicinity are the barred spiral galaxies NGC 7410 (type SBa), NGC 7418A (SBc, a low-surface-brightness galaxy which is the product of an interaction or a merger between galaxies), NGC 7418 (a bright relatively symmetric spiral),and IC 2559 (SBc). 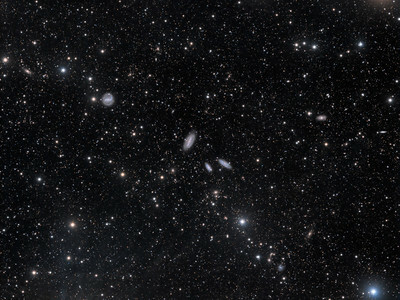 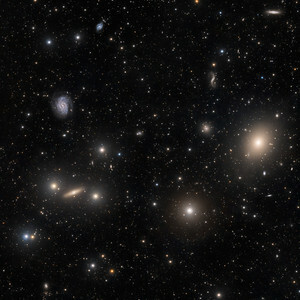 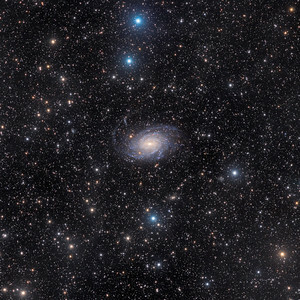 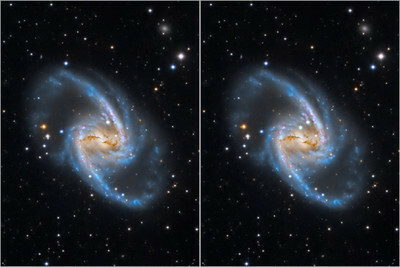 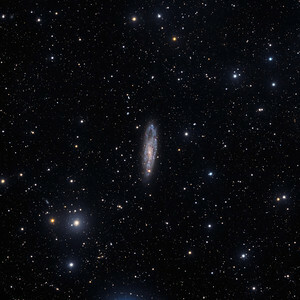 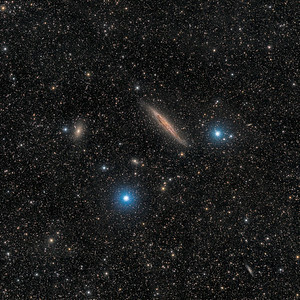 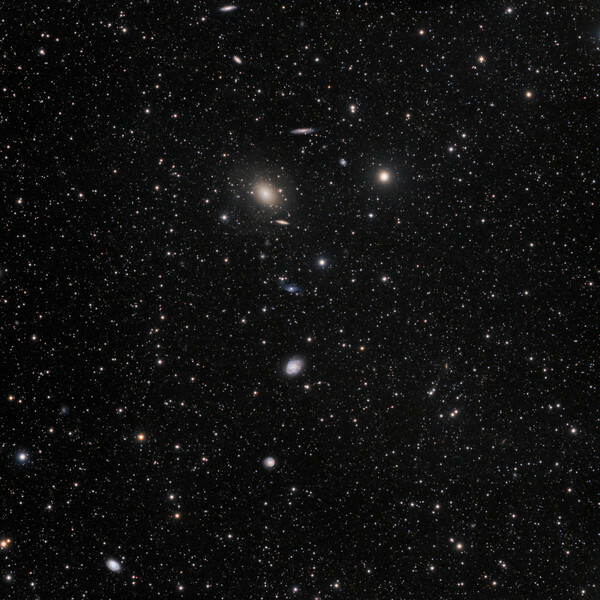 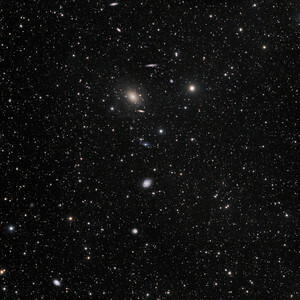 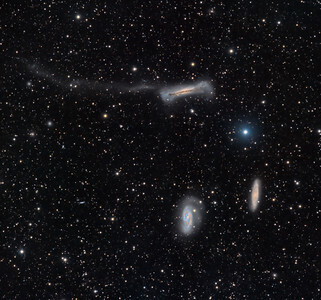 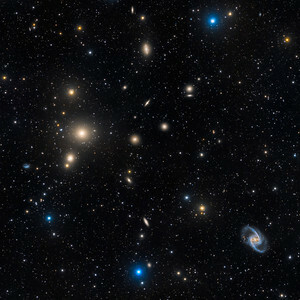 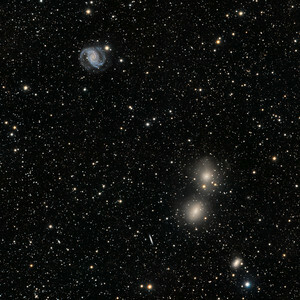 Other conspicuous galaxies imaged in the field above are IC 5270, IC 5269, IC 5264, NGC 7421 (a noticeably asymmetric spiral galaxy) and IC5273.